They say Netflix is killing families. We grew up eating dinner with our parents, and watching a TV show while we ate. But now, people are becoming more individualistic. Youngsters, especially, are not watching TV with family or even eating dinner with them. They prefer to take a plate of food into their room, and watch their favorite shows on Netflix, as they eat ALONE. This is not right. If this is happening in your family, you might want to change it! 1. When we eat together as a family, the food is usually healthy, fresh and nutritious. 2. 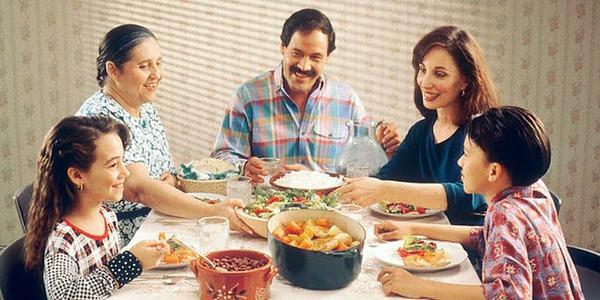 Eating dinner with family improves family relationships and bonding. 3. This is a great stressbuster for people after work. 4. Family dinners make everyone healthier. 5. Eating dinner with family is cost-effective, so we save money! So turn on some family TV on the good old idiot box, and sit down with family for a meal. Is TV Your Dinner Companion?